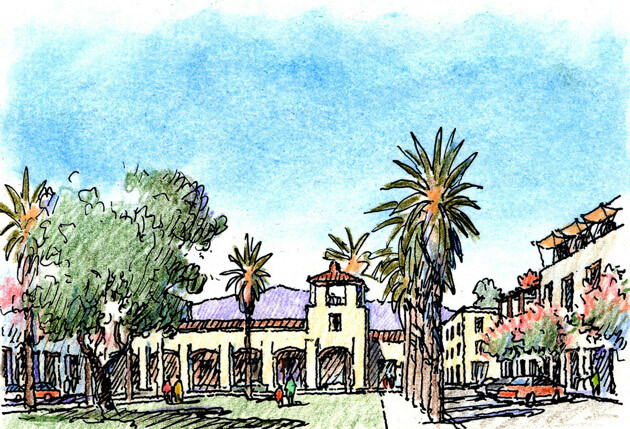 The North Montclair Transit Village Specific Plan, adopted in 2006, mitigates the City’s sprawl by establishing a framework and development strategy for a pedestrian-oriented retail and residential district surrounding the City’s regional transit center. 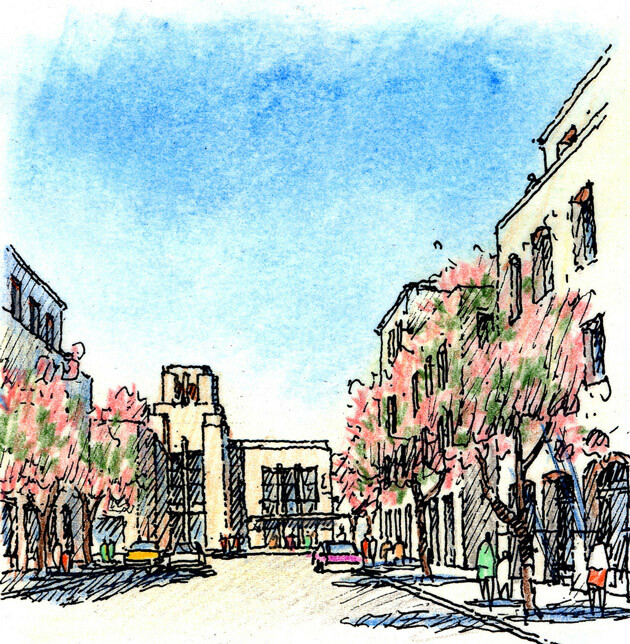 A typical Southern California post-war suburb, Montclair is dominated by tract houses and apartments from the 1950s–1970s, with a commercial district of auto-oriented retail clustered around a regional shopping mall. Virtually no building in the City predates the 1940s and there is no historic downtown. 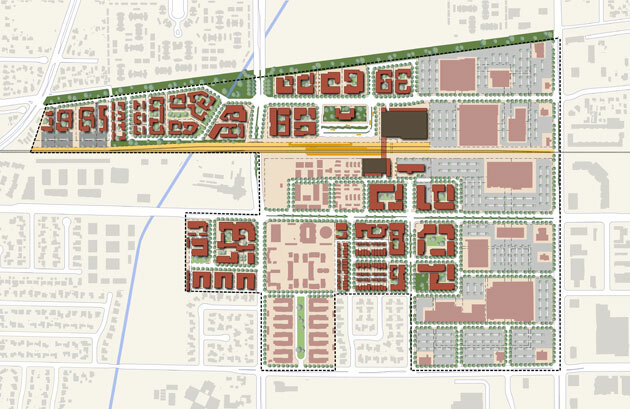 The Specific Plan focuses on the 100-plus acres of vacant lots, strip malls and other marginal land uses that are located between the mall and transit center, which is served by local buses, the regional Metrolink rail and the future Gold Line light rail. 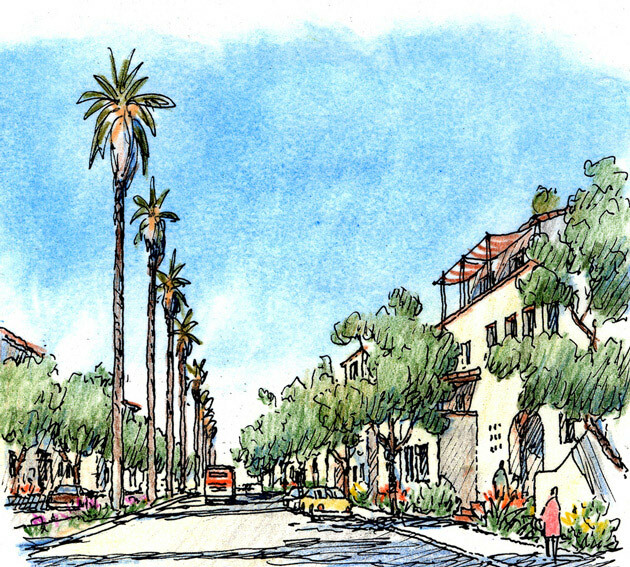 The planning process explored the viability of housing at various densities, commercial office and retail, structured parking and the transformation of the existing mall into a compact, mixed-use pedestrian-friendly village. 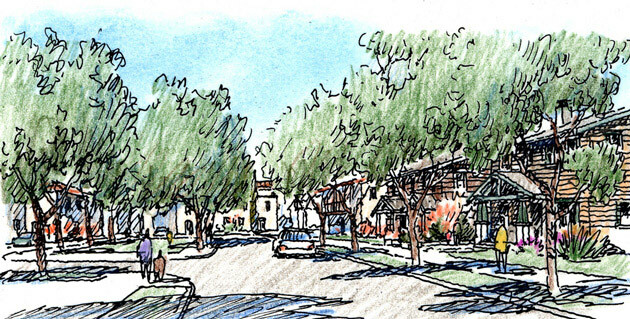 The Plan also addresses the full range of traffic, economic and environmental reviews. It was and is our pleasure and honor to serve as your support team, and we are extraordinarily grateful for the continued collaboration...thank you for your leadership, guidance and incomparable insight into creating the vision for North Montclair.